(Trent Nelson | The Salt Lake Tribune) 3.2 beer on the shelves at Smith's Grocery in Salt Lake City, Friday, January 26, 2018. The selection of 3.2 percent beer in Utah grocery and convenience stores is expected to decline — as much as 40 percent — later this year. The beer industry want the Utah Legislature to change state law to allow beer that is 4.8 percent alcohol in stores. However, according to a new Salt Lake Tribune poll, Utah residents on split on the issue, with the majority of Republicans and active Mormons opposing the idea. David Florence and Vance Mumford represent opposing sides of a brewing debate about Utah’s century-old 3.2 beer law. That’s hardly surprising, since a new poll shows Utahns are evenly divided on the issue as well. Florence, who lives in Uintah in Weber County, wants to see the law changed so higher-alcohol brews can be sold in grocery and convenience stores. His reasoning: The government — i.e., the Legislature and the Utah Department of Alcoholic Beverage Control — has too much control over beer, wine and spirits. Conversely, Mumford, who lives in Richfield and previously worked in law enforcement, has seen firsthand the lives ruined by alcohol dependence. He believes the state should keep in place its law on 3.2 alcohol content beer, even as beer selections dwindle at retail outlets. Just like Mumford and Florence, the rest of Utah is evenly split on this issue, according to a new Salt Lake Tribune-Hinckley Institute of Politics poll. Of the 604 registered Utah voters surveyed, 49 percent want the state to allow higher-alcohol beer in stores, 45 percent oppose such a move, and 6 percent are unsure. The overall statewide poll, conducted Jan. 15-24, has a margin of error of plus or minus 4 percentage points, making the results a statistical dead heat. In this conservative state with a predominant teetotaling religion — headquarters to The Church of Jesus Christ of Latter-day Saints — the responses vary depending on political and religious affiliation. Democrats and unaffiliated voters — as well as Catholics, Protestants and members of other faiths — support higher-alcohol beer sales in stores, while Republicans and Latter-day Saints are against such a move. Latter-day Saints are taught to abstain from alcohol as part of the faith’s health code. Consequently, more than two-thirds (69 percent) of respondents who identified themselves as “very active” Latter-day Saints oppose changes to the 3.2 beer law. More than half (58 percent) of “somewhat active” members, however, would support such a shift as would 74 percent of “not active” members. Backing for a change won support from 66 percent of Protestant and all the Catholics interviewed for the survey. On the political scale, 79 percent of Democrats and 57 percent of unaffiliated voters favor higher-alcohol beer sales in retail outlets, while 62 percent of Republicans would oppose the move. The GOP responses could pose a heavy lift for those advocating a change to the 3.2 beer law on Utah’s Republican-dominated Capitol Hill. Men and women had contrasting results, as well, with 53 percent of men supporting a move to higher-alcohol beer and 49 percent of women opposing the idea. These opinions seem deeply rooted, too. A 2018 Tribune-Hinckley poll showed similar results. 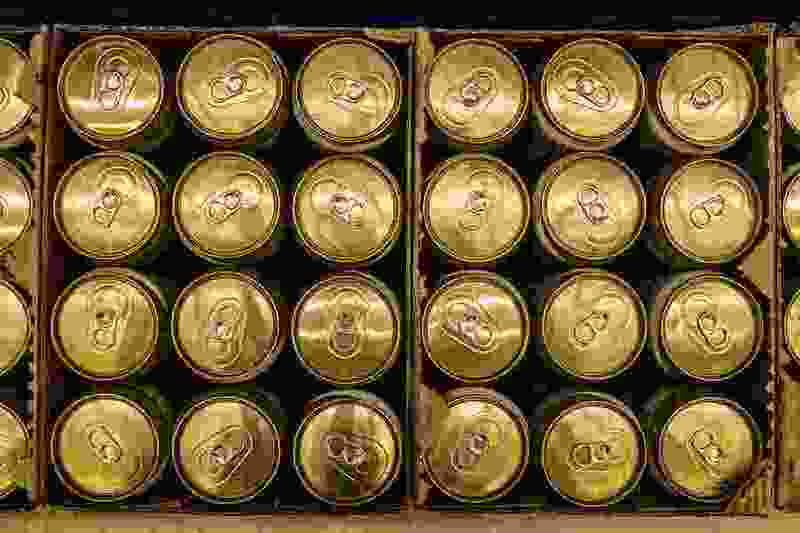 Under current state law, only beer that’s 3.2 percent alcohol by weight (or 4 percent alcohol by volume) can be sold in grocery and convenience stores. Beer with higher-alcohol levels must be sold in state-run liquor stores. Alcohol shifts in other states, however, have cut into the low-alcohol beer selections in Utah. New laws have taken effect in Oklahoma and Colorado that allow higher-alcohol beer to be sold in grocery stores. Kansas is not far behind; it will allow full-strength beer in stores beginning April 1. When that happens, only Utah and Minnesota will require weaker beer in grocery stores; and officials estimate that low-alcohol beers will drop to just 0.06 percent of all the beer brewed in the United States. Large companies, such as Anheuser-Busch and MillerCoors, have said that it’s not worth it to brew lighter beer for such a small market. The results are already being felt in Utah, says Kate Bradshaw, a Salt Lake City lobbyist and director for the Responsible Beer Choice Coalition. More than a dozen major brands have pulled their six-pack configurations from the state. Consumers still can get 3.2 beer in larger 12- and 20-packs. Selection could continue to drop over the next year, going from hundreds of options and container sizes to a few dozen. Quality also could be affected, Bradshaw warned, as the mass producers continue to make 3.2 beer, just not as often. Bradshaw and the Responsible Beer Choice Coalition — a political action committee formed several months ago by small-business owners, Utah grocery stores, convenience stores, beer distributors and brewers — are pushing a change to the state’s 3.2 beer law so consumer selection is maintained. Bradshaw said the coalition is working with a yet-to-be named sponsor in the Senate. The change would equal about half a tablespoon of additional alcohol in each beer or can, Bradshaw said. Not every beer would jump to the 4.8 percent level. For Bud Light, Coors Light and other popular beers where normal production is just 3.4 percent alcohol, the increase would be less than a tenth of a tablespoon, she said. Even though Utahns are divided on the issue, Bradshaw called the 49 percent support rate in The Tribune poll “encouraging," because it likely includes many nondrinkers in the state. St. George resident Matthew Ferguson was one of the poll respondents. He doesn’t consume alcohol but still supports the change. Surprisingly, the Utah Brewers Guild, which represents the states' growing craft-beer industry, does not support the small bump to 4.8 percent, because it gives an advantage to the mega-brewers. The guild’s first preference would be to have “no alcohol cap on beer at all,” said Executive Director Nicole Dicou. Since that is unlikely in conservative Utah, the guild wants the state to keep the 3.2 percent status quo. With the mass-produced beers potentially going away, Utah brewers could fill the void left on the grocery store shelves as well as on taps at restaurants and bars. Correction: Kansas will allow higher alcohol beer in grocery stores April 1. An earlier version of this story had an incorrect date.